October's one of the greatest months of the year to get out into the vegetable garden and get some possibly long-needed maintenance accomplished. The Louisiana summer heat and humidity not only take a toll on gardeners but also the garden. If left unattended for the past few weeks, there will be no shortage of tasks to perform. 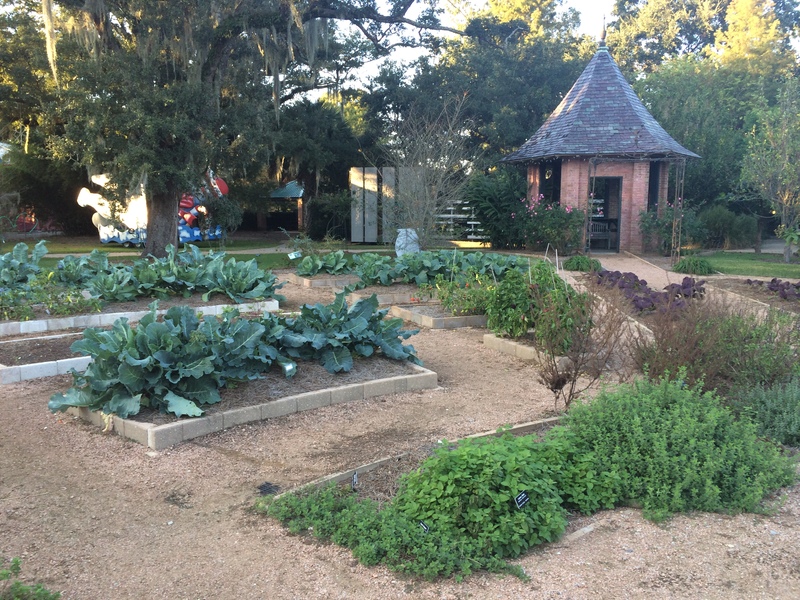 When freshening up the vegetable garden in fall, be sure to take soil for testing and send it off to the LSU AgCenter Soil Laboratory or drop it off at your local extension office. Summer vegetables such as tomatoes, eggplants and peppers are extremely heavy feeders and will have extracted a large amount of nutrients from the soil. You don't want to be caught in the middle of growing your fall and winter crops only to find out you lack particular nutrients in your soil. As we being moving further into fall, many of the deciduous shade trees will begin to drop their leaves for the year. If you are frugal gardener, consider raking these leaves and using them as a mulch either in the vegetable garden or in the flower garden. There are few methods of application for these leave, including applying them directly to the garden or using a mulching lawn mower. If you have more leaves than you need to much with, consider storing them in plastic bags or composting them. Before planting winter and fall crops, be sure to remove all okra, sweet potato, watermelon, cantaloupe and pumpkins plants that have finished growing and replace them with cole crops such as broccoli, cabbage, cauliflower and some of the many leafy greens, such as lettuce, Swiss chard and mustard. If you have never tried the concept of intercropping in the vegetable garden, give it a try this year. Intercropping is planting two different vegetable species together and one of the vegetable crops will be harvested much earlier than the second. A great example of intercropping is planting carrots and broccoli together. Be sure to space the broccoli or the long-term crop at the appropriate distances. Eventually, these broccoli, cabbage or cauliflower plants will grow close to one another, possibly touching by the end of the season. Meanwhile, early in the season, you can grow short-term crops in between, such as carrots, lettuce or radishes. This is an excellent way to maximize your space in the garden while getting more produce.